If there’s one thing all dog and cat owners dread is if the veterinarian tells their pet has heartworms. Although potentially fatal, heartworms can be treated by teamwork between you and our Oakland Park vet. Heartworms are spread by mosquitos that have picked up worm larvae by feeding off an infected animal. The worms grow to be one foot-long and invade the host’s lung, heart, and other organs, causing disease and eventual death if not treated properly. Heartworms mate inside the host, producing yet more worms. The average lifespan of these parasites is 5-7 years in dogs and 2-3 years in cats. What Are the Symptoms of Heartworm in My Pet? 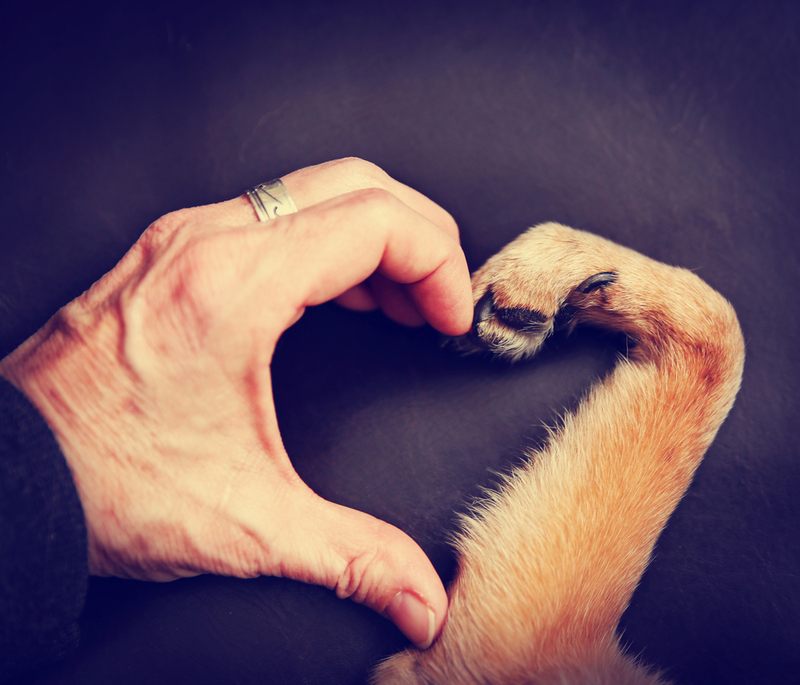 Dogs initially have no symptoms of heartworm. It’s not until the heartworms have multiplied and taken over the host that symptoms exhibit. These include a slight cough, loss of weight, lethargy, disinterest in exercise and lack of appetite. As the infection spreads, the belly may swell, indicating excess fluid due to heart disease. Fortunately, just ten cats to every one hundred dogs contract heartworm, but unfortunately, the symptoms can be elusive and treatment difficult. Some signs include a cough, vomiting, loss of appetite and asthma attacks. Some cats may lose their ability to walk, faint or have seizures, and experience abdominal fluid swelling. Should My Pet Be Tested for Heartworms? Absolutely! 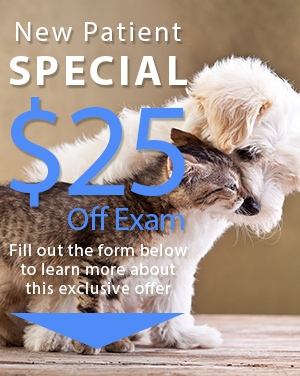 Your cat or dog should come to our Oakland Park veterinarian for heartworm testing once a year, especially since there are few, if any, symptoms in the early stage of the disease. A simple procedure for dogs, the vet takes a small blood sample which is then examined for heartworm proteins. Detection is more difficult for cats and requires a more involved process. How Can I Protect My Pet from Getting Heartworm Disease? Prevention is worth an ounce of cure and that is certainly the case for heartworm disease. To protect your pet, the veterinarian will prescribe either monthly pills or monthly topicals that have proven successful in keeping heartworms at bay. When it’s been confirmed that your dog has heartworm, it’s time to work with the vet to establish a recovery plan. This includes rest, treating symptoms, and administering drugs proven to kill the heartworms. The medicine used for dogs cannot be administered to cats, so their treatment protocol involves close monitoring, care by our veterinarian for symptoms, and administering preventive drugs. 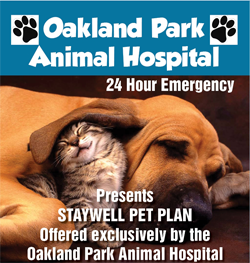 Is Heartworm Prevalent in the Oakland Park Area? Heartworms have been found in all 50 states, but there are higher incidences along the Atlantic and Gulf coasts. Given our warmer and more humid climate, favorable for mosquitos, the chances of contracting heartworms are higher than in other areas. Heartworms are a serious disease, but by getting your pet tested each year and giving the preventatives prescribed by our Oakland Park vet faithfully, you should have many happy and healthy years together. Call us at (954) 731-4228 for more information.